Home Mullica Hill News Did you know your library has a vegetable garden? Did you know your library has a vegetable garden? The Garden@GCLS is a 600 square foot plot of land that was converted from an unproductive stretch of grass to a luscious garden teeming with pollinators. The area consists of five four-foot by eight-foot raised beds. Four beds are for produce used in the classes and for donations, and the fifth is a pollinator bed. In the middle of the beds is a bean teepee that is constructed out of bamboo and supports pole beans that climb to the top of the teepee. The bean teepee has a hole in the front and is just large enough for a child to stand inside. The Garden@GCLS also has a number of potted plants for herbs and other pollinator plants. Earlier this year, children planted bean seeds that were later transplanted into the garden. Now, they’re having fun watching them grow. Some of the vegetables and herbs from the garden are used in library programs like “Build a Better Salad.” Some of the vegetables are donated — last year the Garden@GCLS was able to donate over 65 pounds of fresh vegetables to a local food bank. The Garden@GCLS was founded by the Gloucester County Library System, in cooperation with a number of community partners. The Gloucester County Certified Gardeners have been involved from the beginning of the project with helping to plan the garden, maintaining of the space and teaching classes. They also provided many of the plants that are grown. 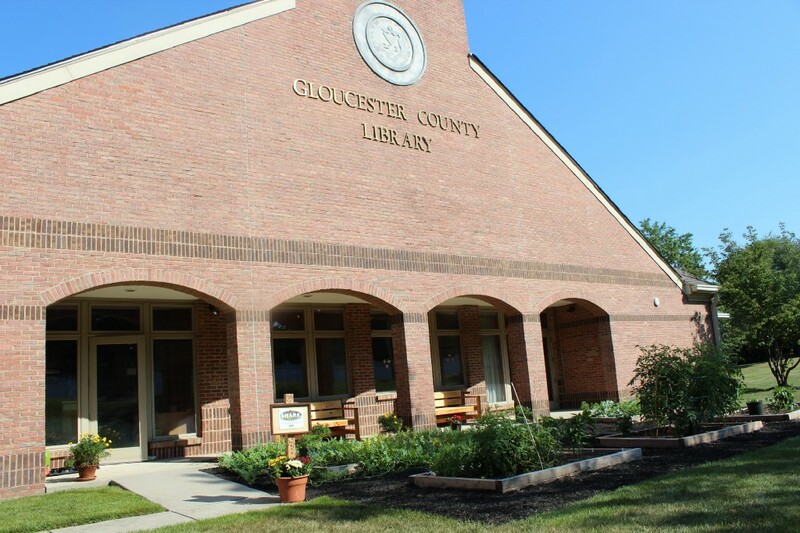 Every other Saturday during June through September, the Gloucester County Library gives a guided tour of the Garden@GCLS. These tours serve as a great introduction to the space, their class offerings, as well as recruitment for future volunteers. For more information on the guided tours, please call the reference desk at the Gloucester County Library at (856) 223–6050.